is the general antiderivative on \pause $(0,\infty)$. 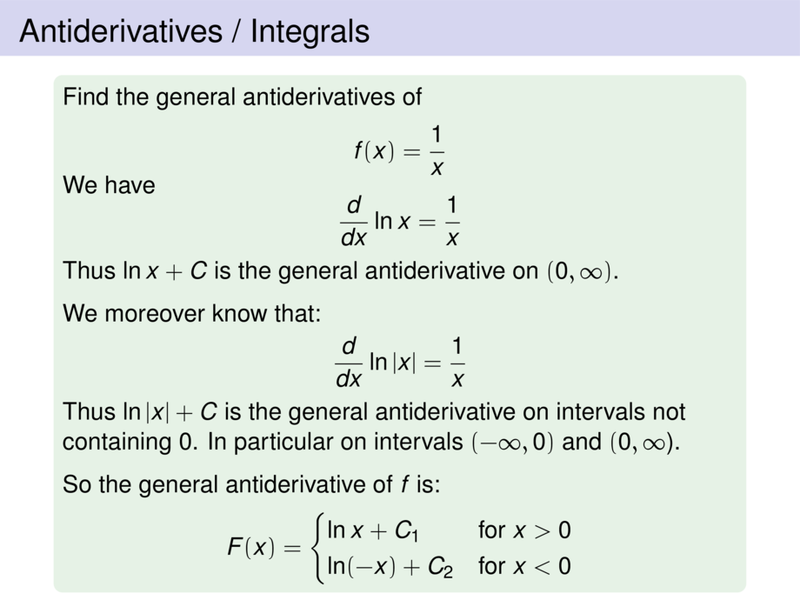 is the general antiderivative on intervals not containing $0$. In particular on intervals $(-\infty,0)$ and $(0,\infty$).